Over a month ago– on February 5th, 2018—two people were burnt alive in Alau-Kofa village, which is in close proximity to Borno state’s capitol of Maiduguri. This horrific information has come just as the military has said that Boko Haram has been defeated1. “Saying they have been completely defeated is pushing it too far,” Major General Nicholas Rogers has said concerning the fight against Boko Haram1.The government and military has said much, but things and events have said otherwise, to the anger of those fighting for the Chibok girls—and now, also for the Dapchi girls. Just yesterday, March 13th, people at the center of the #BringBackOurGirls movement declared that the Nigerian government has 7 days to find and free the 110 “Dapchi” girls, or face “a lawsuit on the grounds of criminal negligence.”2 Obviously, the world is demanding the truth, and real action. But what if those things never come? What if, for all our striving and demands, our actions and best laid plans, these girls are not freed in our time frame, and Boko Haram continues to at least look like they are definitely winning the war? These are hard, pressing times. Times where the Nigerian military does not want to perform aerial attacks, for fear of killing the very girls people are demanding they save. They are weary of trying to find and apprehend Abubukar Shekau, leader of one faction of Boko Haram, because he is using these precious people as human shields1. Innocent young women and men, their lives put on the line so that these wicked people can live, and continue to do evil. As I was thinking about this—about how horrific and unjust it all is—one thought came to mind: Jesus knows exactly what these people are going through. You see, as far-fetched as it all sounds, Jesus was our human shield. For sinful people who were indifferent or hateful towards Him, “…he was pierced for our transgressions; he was crushed for our iniquities; upon him was the chastisement that brought us peace, and with his wounds we are healed” (Isaiah 53:5, NIV). Jesus took the blow we, evil sinners, deserved. He took upon Himself the wrath of God, so that we—the ones who have brought it on in the first place—could live3. 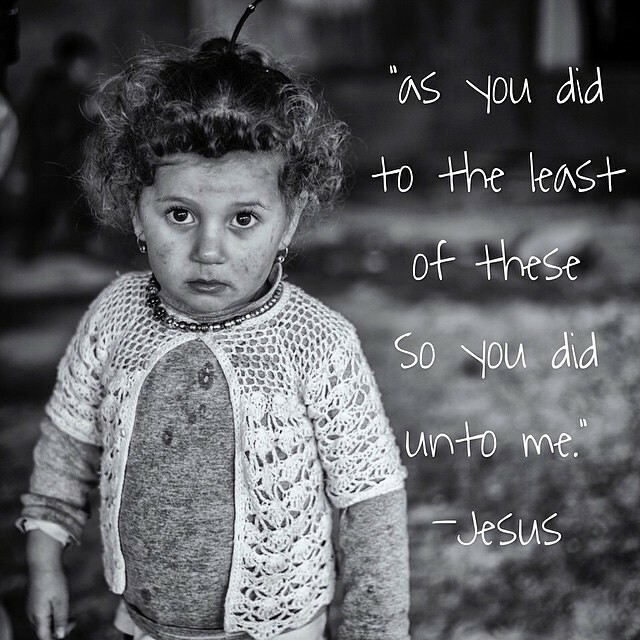 Jesus did all of this—only, He didn’t do it because He was forced to, as these innocent people are being made to. He did it of His own free will, choosing to completely obey His Heavenly Father. I might get hate because of this; I know how racy it made be to compare a normal, everyday person to the leader of such an evil terrorist organization as Boko Haram. But answer me this: Is there such a thing as “big sins” and “small sins,”—that is, is there sins that are more damning than others? Not just according to us, and not according to society—not even to Christian culture. But biblically? There is one sin that can never be forgiven, and that is to reject Jesus Christ as one’s Personal Lord and Savior. But other than that, while sins that vary and differ based upon their consequences and who they hurt, I believe James 2:10 says, “If you have committed one sin you are guilty of all.” All sins are equally heinous, as John Piper has said4. Bottom line: Jesus knows exactly how these hostages feel. He knows exactly how every outraged mother, father, brother, son, daughter, and sister feels. How the incredibly frustrated, discouraged, angered members of Bring Back Our Girls feels. He knows my discouragement—and yours, too. He sees the bloodshed, the tears, the dirt and sin. He hears the cries, the screams; the silence of brokenness. He hears your sighs, listens to every prayer. Yet, nothing has seemed to change—for the better, at least. Friend, as everything seems to be getting worse, I have one final question for you: Do you trust the God, who took on the wrath and anger of God the Father upon Himself, to save and free you? Do you trust that He is good, and has good for you, even in this pain? Look to Calvary, and know two things: Jesus Loves you. And He is in control. As sin abounds, hearts continue to break, and demands are made in this sometimes hellacious world, I encourage you to look to Calvary amidst your much-needed prayers, demands, and actions. I encourage you to remember, no matter how it all ends up: satan may be “winning battles,” but Jesus has won the war. On all accounts—from how people viewed Jesus, to the actual pain and suffering God put upon Him, Jesus suffered the worst pain of any person, ever. But why? Isaiah 53 goes on to say, “By His wounds, we are healed” (Isaiah 53:5). “How?” You might ask? These are two HUGE questions; and while I am only a human being, I would love to help you find and understand the answers. Read more about these questions, here. Wisdom for the Nigerian government, as they work on freeing the “Chibok” and “Dapchi” girls. President Buhari wants to negotiate with Boko Haram for the girls’ release; please pray that he would turn to Christ, and would be led of Him. The “Chibok girls.” Pray that Christ brings them home soon. The “Dapchi girls.” Pray that the government listens to activists, and works to bring them home, soon, too. Those praying and protesting for these girls’ release; that they, we, would trust in Jesus alone, and would allow Him to strengthen us. That Boko Haram would be crushed, and all “human shields” set free. In (late) observance of Veteran’s Day, I was led to write about the “schemes of the enemy”– otherwise known as satan’s battle plans. 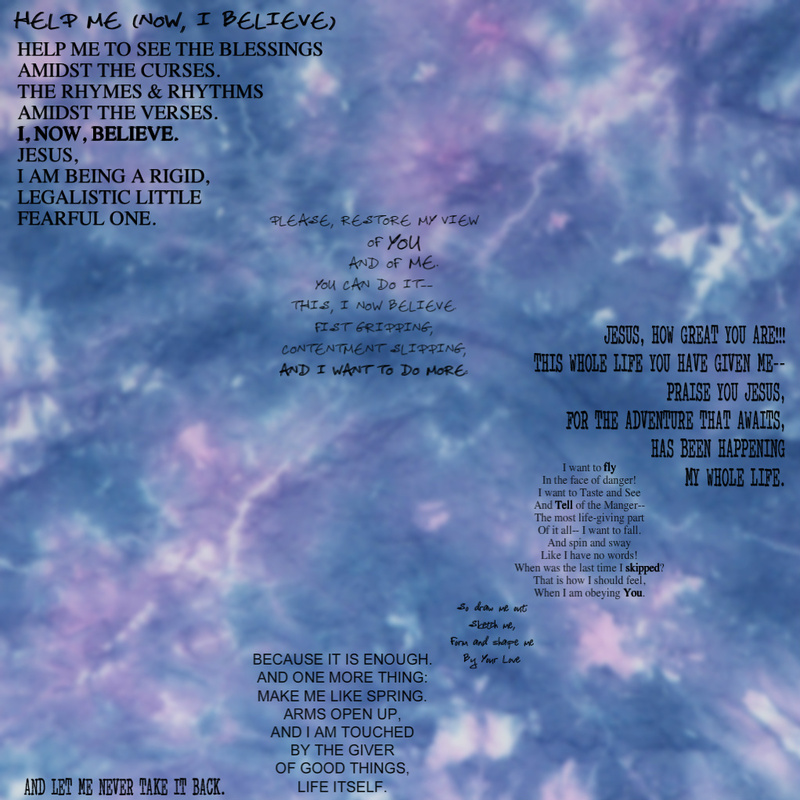 Enjoy– and stay close to our Loving Jesus! Do you remember, or have you heard about, the Jonestown Massacre that happened in 1978? Without over-spiritualizing the concept of satan’s devices and plans– and without making it something that merely puts fear into people, rather than soberness, encouragement and power– I read a deeply disturbing article about a survivor of Jim Jones’ cult. This event was something that really struck my heart with its heaviness. As Jim Jones, who was reportedly secretly addicted to amphetamines, continued to lead his cult, he would stage “suicide rehearsals,” telling the people of the compound that “they” (the outside world/American government) were coming to torture and kill Jones’ followers “because [his followers] had chosen the ‘socialist track'” (source). Deceiving and terrorizing the people using even the Bible, Jones coerced his followers into “revolutionary suicide,” by having them drink cyanide-laced kool-aid (an event which created the casual, insensitive phrase, “Don’t drink the kool-aid”). Jones went through with the the mass suicide on November 18th, 1978, when at last someone– Californian congressman Leo Ryan– came to investigate claims that Jones’ followers were held against their will at the compound (source). 900 people, including 276 children, were killed; Congressman Leo Ryan was murdered by those close to Jones, as well (source). In her book, “Jonestown Lullaby,” Teri Buford O’shea describes her experience within the cult in a collection of photographs and poems. (The Atlantic had a chilling interview with O’shea about her experiences, which I encourage you to read if you want to study more of the Jonestown Massacre.) Reading this article, it dawned on me how incredulous, somber, and diabolically evil Jones’ actions were– and how the enemy works in such a similar way to steal, kill, and destroy (John 10:10). The apostle Paul, in 2 Corinthians 2:11, said, “…we are not unaware of [the devil’s] schemes,” and Ephesians 6:11 tells us to “Put on the full armor of God, so that you can take your stand against the devil’s schemes” (more about the armor of God in this post.) It is important to understand his battle plans, so that Believers do not fall prey. But, what are the enemy’s devices? satan deceives. This is his primary tactic; in fact, Jesus Himself said that “he is the father of lies,” and that lying is his natural way of speaking (John 8:44). Just like Jim Jones, satan deceives people into thinking that they know the truth, when actually, they are believing a lie that could lead them to hell (if they don’t repent and make Jesus Christ their Lord and Savior). satan perverts. In the words of Harold S. Martin, satan constantly “battles for the soul of the sinner and the life of the saint.” satan even uses, twists, and perverts good creation, including the Bible– the Word of God itself– to propagate his own evil plans. We can see him doing this in the life of Jesus, when Jesus was tempted for forty days in the desert (Matthew 4:1-11). satan distracts us. More than ever, we live in a world full of distractions– distractions that can easily lead us away from Christ. Mark 4 describes a person that, upon hearing the Gospel, is distracted and taken away by the cares of this life. On a daily basis, satan distracts us from pursuing Jesus and His Kingdom using the same cares of this life: worries about finances, popular thoughts and philosophies, partying, and anything else he can use against us. satan accuses. satan has a similar strategy: having led the Believer into temptation, he immediately turns around, heaping guilt and condemnation upon the sinner. satan would LOVE to have Believers continuously falling into temptation, and wallowing in guilt and condemnation for it. But we, as Believers, are not under false guilt and condemnation (Romans 8:1)! satan manipulates & degrades. Using deceit, Jim Jones manipulated his followers into believing that everyone outside of their cult was out to get them. In doing so, he degraded and enslaved his followers to himself. satan would love to do the same, and does all of the time. satan puts evil thoughts in our minds. Speaking lies into our ears, satan is behind many, if not most of the evil thoughts that can come into our minds. I want to be careful here, and say that we have our own sinful nature– not every sinful, wrong, evil, dark thought or action we have is straight from satan himself. However, he can definitely be a driving force behind such things, as Harold S. Martin writes here. satan intimidates us. Jim Jones caused his listeners to become so afraid that many saw no other way out than the suicide he was commanding of them. No matter who you are, we are all susceptible to fear at differing degrees. Again, filling our minds with doubt and lies, satan loves to discredit God’s promises to fight for and take care of us. Ultimately, satan wants us bound up and wound up in fear and worry, clinging to fear instead of Christ. satan divides us. Many militias have used the age-old tactic to divide and conquer its enemies. satan absolutely hates those who trust in and follow Jesus, and as such, he spends much of his time trying to divide and pit Christians against one another– and watches in glee as we do it to ourselves. He divides us using envy, deceit, gossip, bitterness, unrighteous anger, and especially unforgiveness. The Apostle Paul writes about this in Hebrews: “Look after each other so that none of you fails to receive the grace of God. Watch out that no poisonous root of bitterness grows up to trouble you, corrupting many” (Hebrews 12:15, NLT). The dividing effects of these sinful actions are why it is SO important to obey God’s Word on loving one another. “Be kind and compassionate to one another, forgiving each other, just as in Christ God forgave you” (Ephesians 4:32). satan isolates us. Division and isolation go hand in hand. Like Jim Jones did when he took 1400 of his followers to a compound in Guyana, away from the rest of the world, satan wants us isolated from other Believers. At the core, a person who is isolated from others– especially isolated from other Believers– is easy for satan to destroy, and that is why he employs this strategy. Biblical, Godly community is something ALL Believers need; without it, we are very susceptible to being successfully attacked by the enemy of our souls. Ultimately, using these devices, and others like them, satan wants us bound; believing lies; steeped in sin; and hopeless beyond repair. In short, he wants us dead. Dead in our sin, dead physically, and deadened in our relationship with God. The slaughter, much like the mass suicide (murder) of the innocent but gravely misled Peoples’ Temple followers, is heartwrenching. But, we are not defenseless. 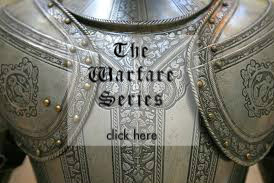 Jesus has given us spiritual armor, armor that protects us from the wiles of the enemy– you can read about those in this post. But, reflecting on the Jonestown Massacre, there is one beautiful, comforting truth to remember: in the Jonestown Massacre, those misled followers of Jim Jones had a deranged, selfish, evil “shepherd” to guide them to their deaths. But it is not so, with us, Believers in Jesus. As said before here, Jesus is the Good Shepherd (John 10:11). He comes that we might have life, and have it to the full (John 10:10); and when we submit to Him, He leads us into verdant pastures, and by quiet streams, along right paths for His Namesake (Psalm 23:2-3). The Truth? Jesus and satan are NOT equal in nature or power. Jesus is God; satan is not, no matter how hard he tries to be. satan needs Jesus’ permission to do what he wants in the life of the Believer; and Jesus does not allow anything to happen that He cannot turn around for His Glory, and our Good. Our God is for us. He is not a lie; all through the darkness, He is in control. So, be sober and vigilant. But, do not be afraid. For Jesus has said, “… ‘Never will I leave you; never will I forsake you'” (Hebrews 13:5). And for Jesus, our Good, Good Leader, that promise never has been– nor will it ever be– broken. We can trust our Leader, guys, no matter what the enemy says or does. And our Leader wins in the end. May that be a comfort, and an amazing encouragement of victory, for all of us. Jesus is not only a good shepherd or leader; He is the Good Shepherd. And He alone is the way to actually know God the Father. So, let me ask you this: Do you, you yourself, personally know Jesus as your Lord and Savior? Learn more about Jesus Christ– and why He must be your Lord and Savior, for you to know God the Father– here. Believers all around the world who are currently undergoing spiritual warfare. Please pray that they would be sober and vigilant, and would know the enemy’s schemes against them. Unity in the church. Please pray against the backbiting, the envy, unrighteous anger, gossip, and all other malice. We need each other! Pray this especially over your local fellowship. 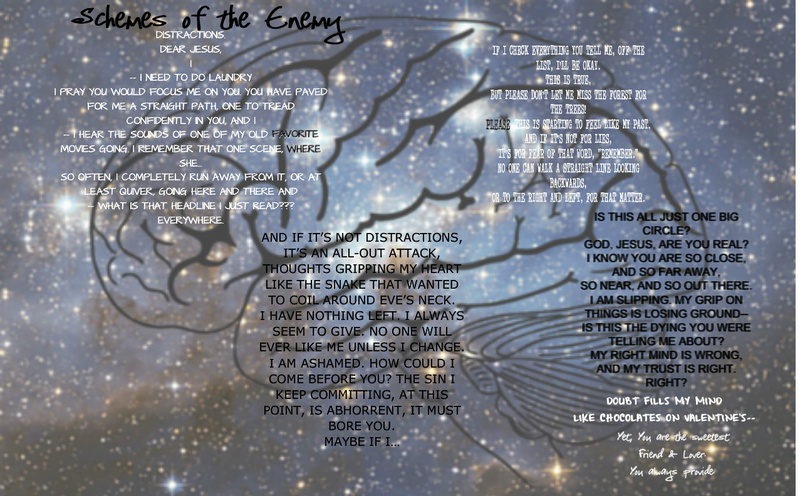 For those who are fighting in physical war zones… that both their enemy and our army would know Jesus. 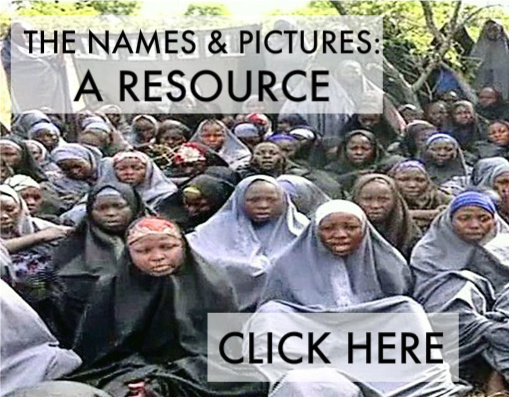 For, last but definitely not least, the Chibok girls who have not been found. Please pray that the Nigerian military, and anyone else, would be able to free them through negotiations, or however Jesus decides.